The incident took place this morning at around 10.20am. Traffic on the northbound carriageway is currently affected, with lanes one and two out of action before junction 28 for Leyland for emergency services to attend. 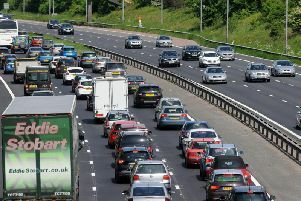 The AA is reporting a "multi-vehicle accident" with congestion passing Charnock Richard Services. They added that two lorries, a van and a few cars "bumped into the back of each other". Delays of 50 minutes have been reported. At 11.25am lane two was reopened, with lane one remaining closed until recovery arrives at the scene. At 12.45pm all lanes were reopened.